"Inside Berforts Manor there were clear signs of disarray Eventually, they came into a medium-sized room dominated by a grand piano. The tall window was open, its frame empty. Looking around, Jones could see traces of dirt on the windowsill. There was a barren flowerbed outside the window with several large footprints in it, scattered with broken glass. Inside, a faint muddy footprint was visible on the floor, the same boot or shoe as the ones in the bed. He glanced at Drummond s feet, which were several sizes smaller. A scrap of red thread or cloth was caught on one of the shards of glass that clung to the frame. Well, said Inspector Jones. I think I ve seen enough here. William Drummond, you are under arrest. " Read the full mystery and identify the piece of evidence that Inspector Jones spotted to identify the guilty party. 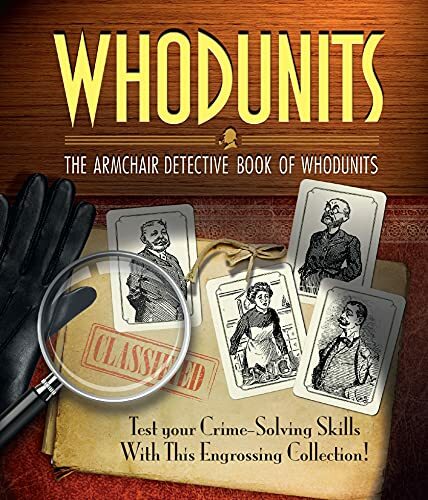 The additional minimysteries in this fn collection will challenge the armchair detective in everyone. A full set of solutions is provided at the back of the book."